Students can choose from more than 50 programs of study. The student-to-faculty ratio is 6:1. The Honor Code at Rice fosters a spirit of freedom, independence, honesty and mutual trust. 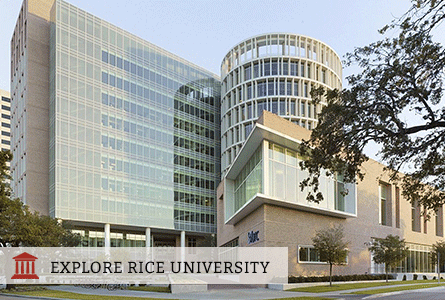 Experiential learning is an important part of education at Rice. Advising is available for students pursuing medical school, law school, or business school. About 33% of students study abroad.